Dozens of children flocked to MOAH’s first free summer art workshop for children last month. 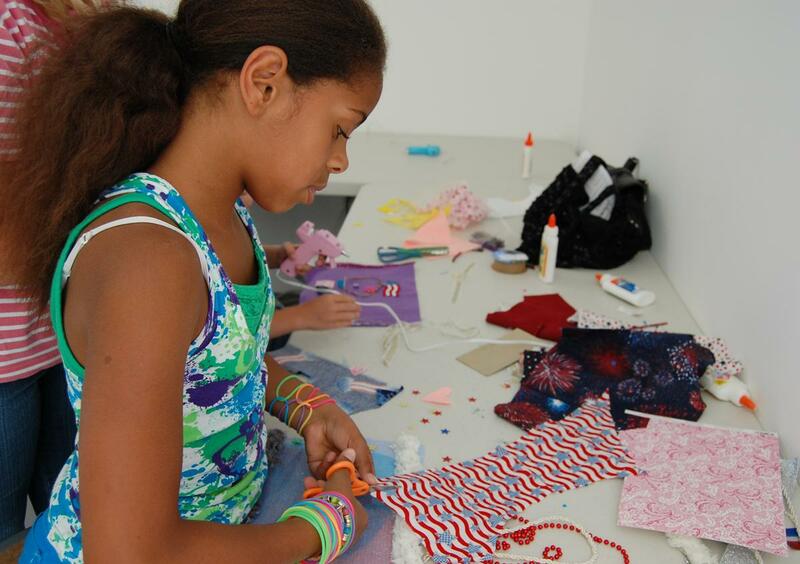 The second in the series will be held today from 3 to 7 p.m.
LANCASTER – This afternoon (July 26), the Lancaster Museum of Art and History will welcome eager youngsters seeking an outlet for creative expression. MOAH’s second free art workshop for children this summer will be held from 3 to 7 p.m., in the Marroquin Family classroom, located at 665 West Lancaster BLVD (corner of Ehrlich Avenue and Lancaster BLVD). The museum’s Painted Desert exhibit will serve as inspiration for the workshop. Youth will be encouraged to expand their ideas around beauty, the desert, and the elements of the environment, namely – the wind. MOAH staff will guide participants in the assembly of wind chimes, using a variety of sound-producing materials. This workshop also offers appropriate materials for all age groups. Younger participants will be encouraged to use items which are easier for small hands to string, such as keys, bells and washers. More advanced participants will have access to all available materials for their wind-inspired creations. Sponsored by The Children’s Center of Antelope Valley, MOAH’s monthly children’s art workshop series are free and walk-in friendly. Participants can participate anytime between 3 and 7 p.m.
For more information, call The Children’s Center of Antelope Valley at 661-949-1206, or the City’s Parks, Recreation and Arts Department at 661-723-6077. 1 comment for "MOAH’s second free art workshop for children set for today"
i think its great that children have an opportunity to create art/beauty in the simple things around us. GREAT job/program. hope to see more.